Fourth Grade 1 hour math lesson addressing Numbers in Base-Ten: rounding whole numbers to the hundred-thousands place (4.NBT.3). This lesson includes: a place value and rounding review and a “Round” the Room challenge. Students will need to apply their knowledge of rounding whole numbers to solve a variety of challenge task cards. Each card has a varied difficulty level and point value. Students are trying to solve as many problems as they can correctly to earn points in the challenge. 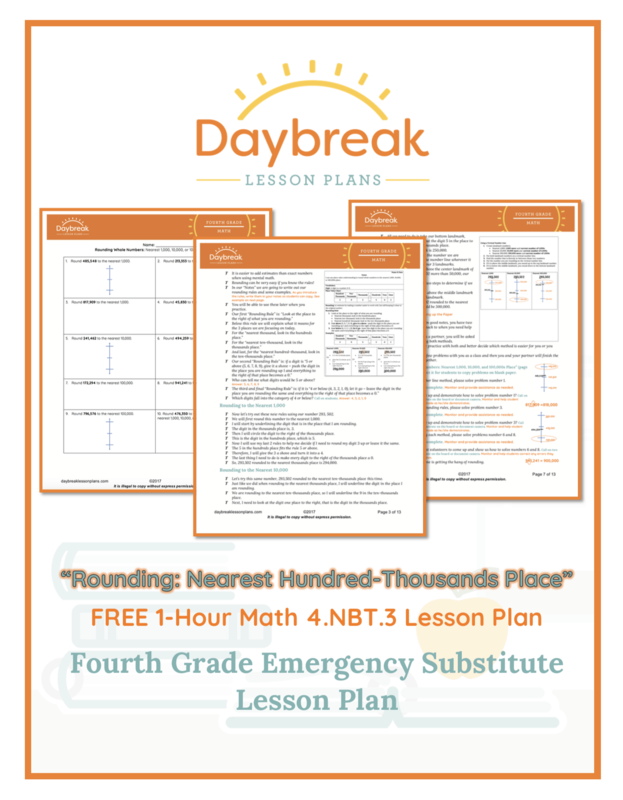 **The content of this lesson is derived from a portion of the Half Day Lesson Plan: Rounding Whole Numbers to the Hundred-Thousands Place. 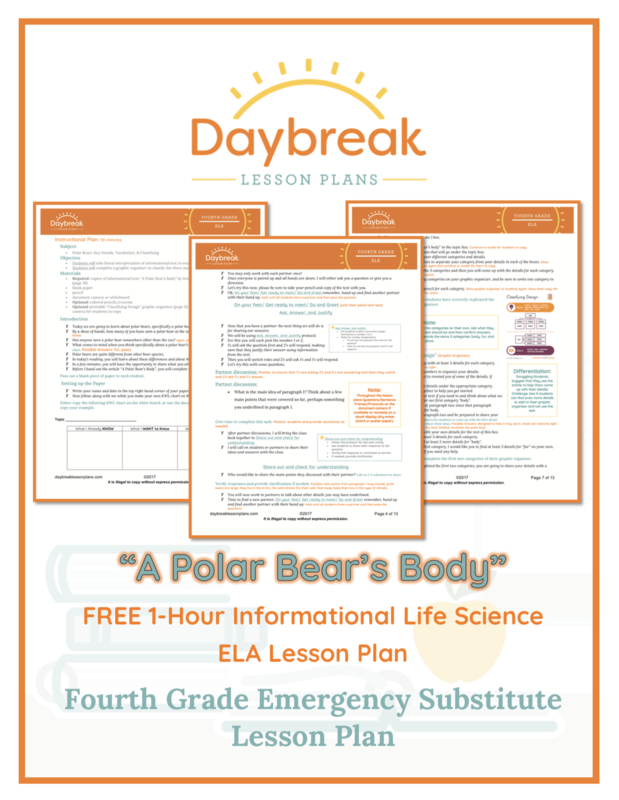 This is a 1-hour, fully scripted Fourth Grade ELA lesson plan using a printable Informational Life Science text, “A Polar Bear’s Body,” by Jennifer Kaul. This lesson includes: close reading comprehension techniques, practicing identifying key details, determining the meaning of unknown vocabulary, and classifying information (RI.4.1-4.4). Students will take literal interpretation of informational text to evaluation and synthesizing.